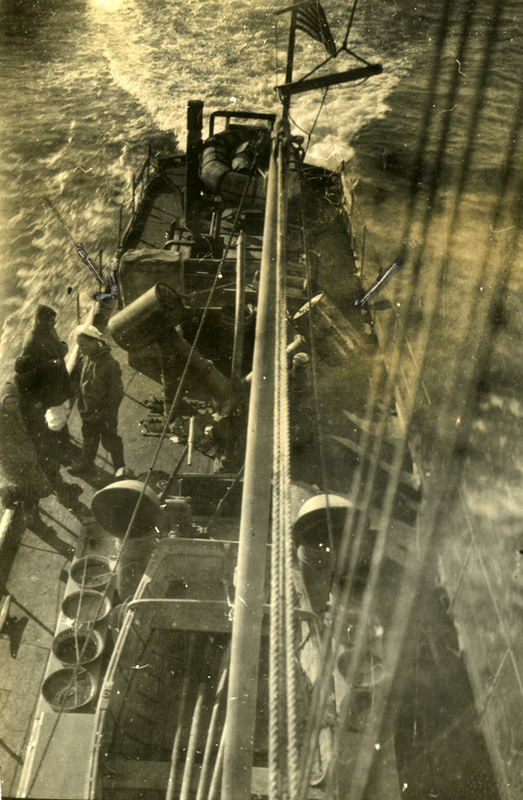 This photo of SC 208, taken from the crow's nest, shows the bucket racks. These are illustrated in early drawings, but frequently are not present in photographs of chasers. 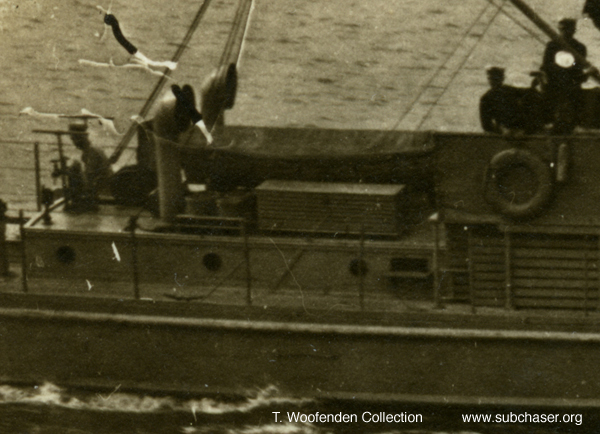 Shown in this photo, next to the wherry, are a bucket rack and storage locker. These also are illustrated in early drawings but are often not present in photographs of chasers. Photo of bucket rack and locker on SC 427. T. Woofenden Collection.